Composition of images from stock.xchng. As scientists look through a powerful telescope they can see the vast expanse of the universe and marvel at the way the planets traverse their orbits without colliding. At the other end of the spectrum scientists look through a microscope and marvel at the intricacy of the ‘simplest’ living organism. The evidence of a ‘Designer’ is plain for all to see. However, Harvard atheist and geneticist Dr Richard Lewontin, writing in The New York Review of Books, takes the opposite view. For, no matter what the evidence is (for creation/a Creator) he will not consider any alternative to materialistic atheism. Why? Because, he said, ‘ … we cannot allow a divine foot in the door!’1 We? Obviously there are others who, despite the evidence for God’s existence, follow suit. Maybe Dawkins would like to tell the victims of Hitler that he was ‘just dancing to his DNA’. Dawkins’ view is equalled by that of Oxford University chemist and atheist, Peter Atkins, who said, ‘Free will is merely the ability to decide, and the ability to decide is nothing other than the organised interplay of shifts of atoms.’3 So, why do we even waste time trying to punish criminals if their behaviour is fixed by the environment or genetics? Why do we make a distinction in law from crimes committed with full mental faculties and those done by insane persons? Why do we blame ourselves and feel guilty when we make a bad choice? The ultimate irony is that some atheists aggressively try to ‘convert’ theists to their atheistic religious system when they presumably know better than any of us that we are ‘fated to believe’ our theism because of our chemical make-up, irrespective of the persuasiveness of their arguments. Atheists think that if they can get rid of God they can live free from the restraints of His ultimate authority. Instead, they discover that by removing God, they remove the only meaning for their life. The ultimate irony is that some atheists aggressively try to ‘convert’ theists to their atheistic religious system when they presumably know better than any of us that we are ‘fated to believe’ our theism because of our chemical make-up, irrespective of the persuasiveness of their arguments. Perhaps they would do better to shake us or inject us with another chemical so that the arrangements of molecules in our brains would make us atheists. But, no—they argue with us! Why? Some scientists would have you believe that science has ‘done away with God’: that the aspect of evolutionary science which shows that man has evolved from apes and other creatures going way back to the so-called primordial soup is fact. Nothing could be further from the truth! The fact is that certain ‘evolutionary scientists’ have even been known to falsify the evidence in order to make their case. We are living in a day when people have no regard or respect for anyone or anything, including themselves. They live without any sense of responsibility or accountability to anyone, even governments and the law. You read or hear about it every day. Governments are losing control and our jails are too full to accommodate the criminals. Murderers are let out only to kill again because the rehabilitation process has not worked. The famous atheist philosopher Bertrand Russell was once asked, ‘If you meet God after you die, what would you say to him to justify your unbelief?’ ‘I will tell Him that He did not give me enough evidence’, Russell proudly replied. There are none so blind as those who will not see! Do not follow the blind. 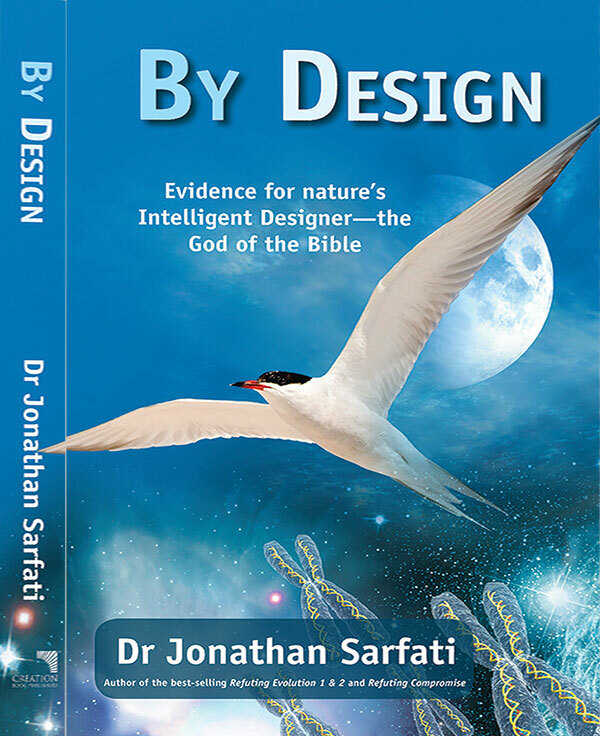 Scientists know, and the Bible states, that there is sufficient evidence all around for us to believe in God, the Creator. Sadly, some scientists persuade many to believe otherwise. 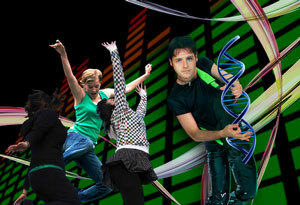 Mankind is ultimately accountable to God: we were not created to ‘dance’ to our DNA. God wants us to come into a loving relationship with Him through faith in The Lord Jesus Christ. This article has been made into a tract available through the author. Some parts were used by the author by kind permission of Paul Ferguson/Ambassador Productions Ltd, Belfast. Lewontin, R., Billions and billions of demons, The New York Review of Books, p. 31, 9 January 1997. Emphasis added. Return to text. Atkins, P., The Creation, W.H. Freeman & Co Ltd, Oxford, 1981. Return to text.